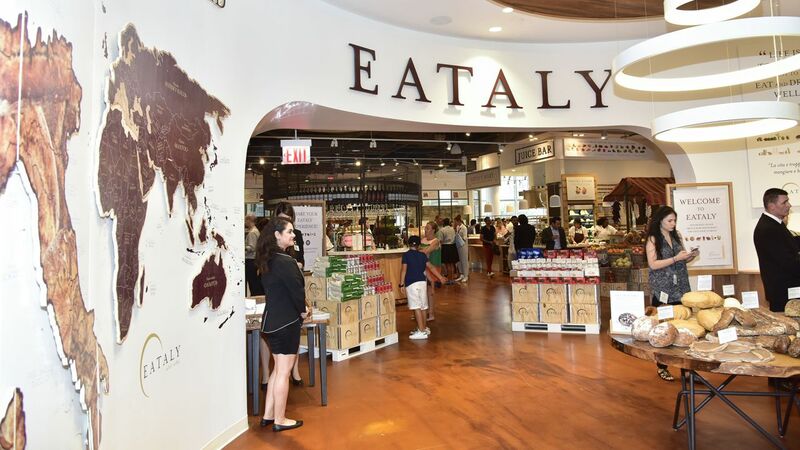 FINANCIAL DISTRICT, Manhattan (WABC) -- New York City's Italian market, Eataly, now has a second location in Manhattan. Eataly Downtown opened up Thursday at noon on the third floor of World Trade Center Tower 4. The theme of the Financial District location is bread - and that's the prominent display visitors see when they first walk in. "At Eataly Downtown we've chosen 'Bread' as our theme so we have a platform to break bread and talk about culture in one of the most important and most diverse cities in the world," said CEO Nicola Farinetti in a news release. The new market features a bakery, various Italian restaurants with different style, a food "university," a pastry joint and even a coffee café and juice bar. The market's hours are 7 a.m. to 11 p.m. daily.